This post originally appeared in the Alhambra Source. The post is by Anthony Perez. 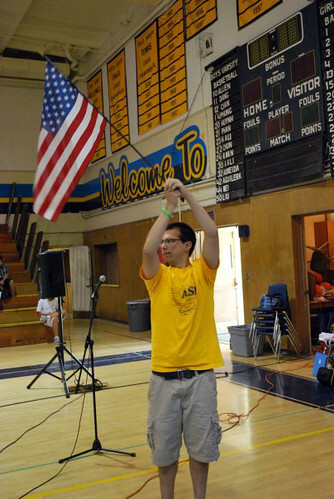 Last year Anthony Perez was student body president at Alhambra High School. But even though the school is nearly half Asian, half Hispanic, he was often the only Latino student in the room. This year out of 52 elected officials, all are Asian students. Anthony wants to know why. This digital story originally ran on Hear in the City. 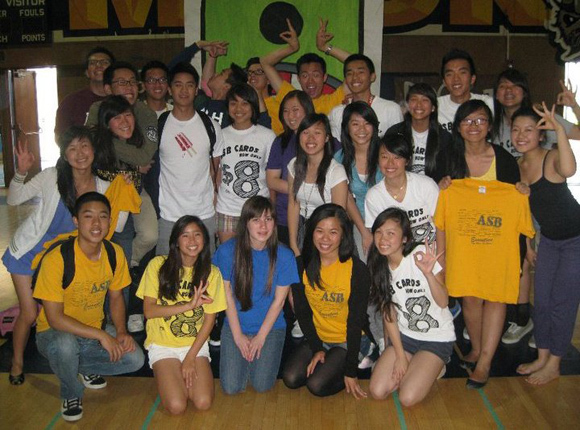 For the past four years I have been among the most popular kids at Alhambra High School. 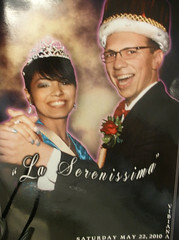 I have been student-body president and even elected prom king and boy of the year. But I feel like a misfit. At my school, it’s not normal for a Hispanic student to take on leadership positions other than on the football or dance team. “Anthony, you seem more Asian than Hispanic,” is something I am told all the time. But actually, I’m Anthony Perez and proud to be 100% Hispanic. Still, as a freshman I felt intimidated when I went to my first student council meeting. 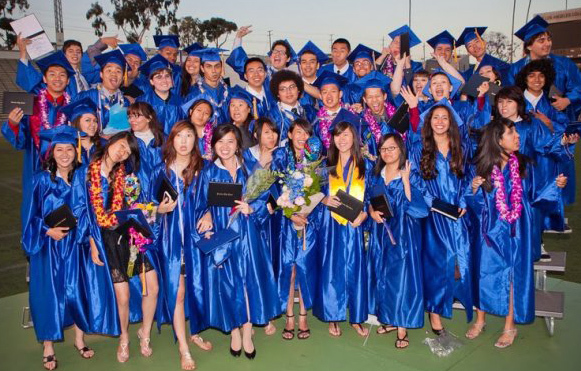 Of the 25 students in the room everybody else was Asian, even though my school is nearly half Asian and half Hispanic. During the four years since then, I have grown accustomed to being the only Latino student in the room. I took out my microphone in journalism class. Like every other advanced class I’ve taken, except AP Spanish literature, it’s almost all Asian. 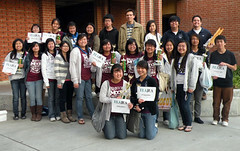 One reason I joined these clubs is because I wanted to get into a good college, something my parents always encouraged. But some– like the video game club or Rubic’s Cube club are just for fun. No other Hispanics are there either. Is it just peer pressure? One day I ask students in my only all-Hispanic class, AP Spanish literature. “I think it comes back down to friends knowing friends and you not getting in because you don’t know the right people,” Michelle told me. “I think Asian families are more strict on that stuff they always want their kids to be involved than Hispanic parents.” Sara told me that in her own household her parents were not particularly strict. Of all these responses, parent involvement makes the most sense to me. After all, I’m not sure where I’d be if my parent’s hadn’t pushed me to succeed. Jose Prado has a son on my AP Spanish literature class. 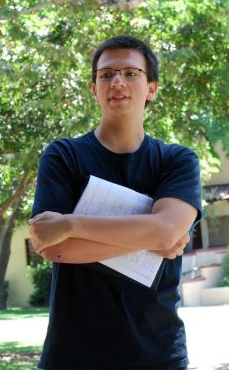 He’s also asociologist at Cal State Dominguez Hills and has studied student participation at our high school. So I decided to talk to him. Prado says parents who are not involved are often too busy working. And so it all boils down to the connection between a teacher and a student. And that teachers often don’t have that connection with Hispanic students. “So as they are segregated and excluded inside the classroom, so too are they segregated and excluded inside the extra curricular tract,” Prado said. He’s done his own study of Alhambra High and found that, based on yearbook pictures, 85% of the participation in clubs were Asian students. When I went out to collect some of my own data many Hispanic students had the desire or intention to join, but they said that they were intimidated. “We need to understand this experience between the context power, race, and class. And these are things that aren’t part of common everyday language, especially within the context of schools,” Prado said. Now I’m about to move on to college. I’d hoped my being student body president would shift the dynamic and make it easier for other Hispanic students to get involved. Sarah Chavez is running for executive board of student council. I talk with her in the lunchroom on Election Day to try and figure out what was pushing her to break these boundaries. “I was a little nervous and excited but at the same time more determined to try to show people that you don’t have to be Asian to do everything… I wanted to take a stand in a way but also for fun and show there’s a way for more Hispanic students to get involved. Listening to her makes me feel like maybe I had in fact opened the door for more Hispanic representation in student government. But I am really surprised when the winners are circled on the wall, and Sarah’s name is not there. And no other Hispanics are elected to student council for next year. Asian students hold all 52 positions. I suspect that there weren’t as many Hispanic voters, because many of them aren’t familiar with voting for a Hispanic candidate. I go to talk to my principal about the issue, but he refuses to comment on the record. I think he should be talking about it. Almost half of our school is not represented in student government, whatever the reason, that’s a problem. Anthony, this piece is awesome! It is very well made. Having worked with the PAPAYA club at Alhambra high, I definitely recognized this dynamic. Though the club initially attracted a mixed group of Asian and Latino students, with each meeting the numbers of Latino students diminished. As the numbers decreased, the remaining students began to feel out of place, losing community in the club, and eventually disengaging. I think that this is a real challenge that Alhambra High (and Mark Keppel/San Gabriel High) should recognize and address. It is a shame that in a minority-majority school like Alhambra, these groups, with the potential to recognize many commonalities in immigrant struggles and histories and work together, instead divide and become alienated from one another. There is a much bigger world outside of Alhambra, with the cards stacked against both Latinos and Asians. These groups will eventually have to work together to overcome these larger challenges, and high school should be a place to foster this mutual understanding. Hi Anthony, I really enjoyed reading your blog post. It’s very interesting to hear about what you’re experiencing at your school. I am from New Mexico and there didn’t seem to be a problem at my public high school with a lack of Hispanic leadership. I am trying to guess why. Maybe because the strong majority of students were Hispanic, white, or both, and there was less of a clear division between two distinct groups, as there seems to be at your school? 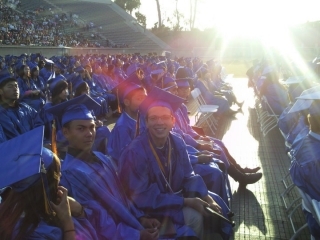 It’s going to be hard to find a principal who can be a role model to both the Asian and Latino population.